Today, ownership is out. Consumer trends show that more and more consumers want temporary access, not permanent ownership. And within this changing landscape, membership-oriented businesses are king. 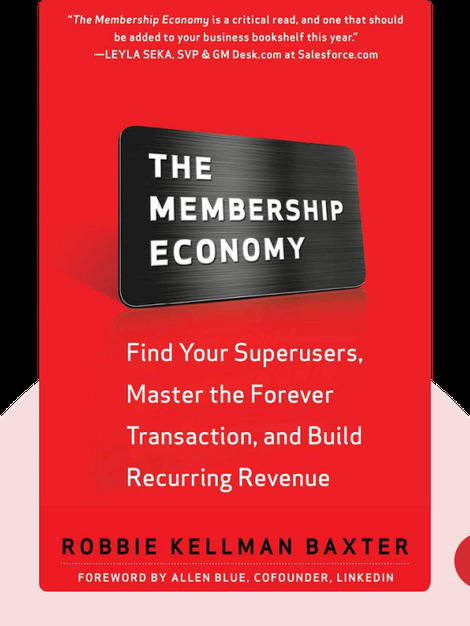 The Membership Economy (2015) outlines key strategies and tactics based on real-world examples for successfully building a membership organization. Robbie Kellman Baxter is a leading consultant and speaker. Her past clients include Netflix, Yahoo and eBay.